Add keywords that best describe your organization. Choose a Primary NTEE Code and Primary Sub NTEE Code. Learn more about NTEE Codes. Once you have updated your keywords and NTEE Code, make sure to scroll to the bottom of the page and click Save. Once you have completed your updates, make sure to publish the changes so that they will appear on your organization's GuideStar profile page. 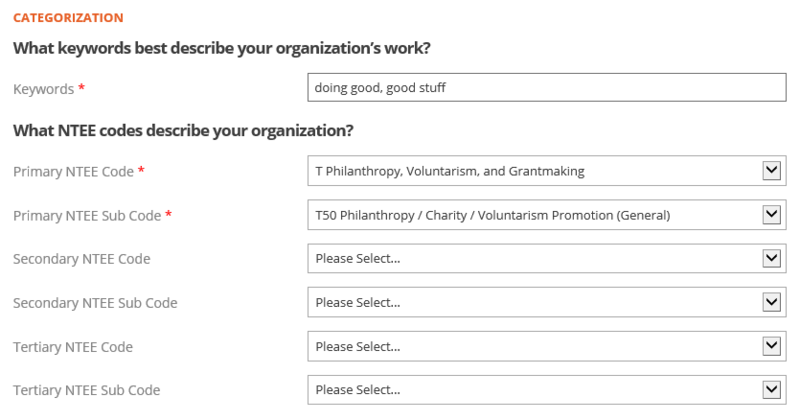 Updates will appear on your Nonprofit Profile within 24 hours after publishing.